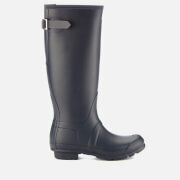 Women's short Hunter wellies. 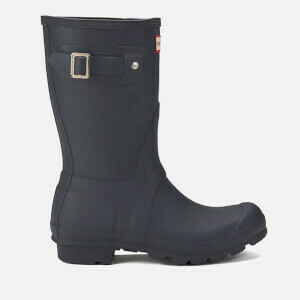 Handcrafted from 28 parts of waterproof, vulcanised rubber on the original last, the 'Original Short' boots offer a comfortable fit with cushioned sponge insoles. 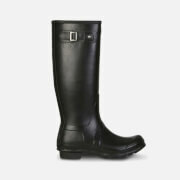 The wellington boots are reinforced with a traditional calendered sole and adjustable buckle strap to the shaft. Moulded lines, matte finish and Hunter logo finish the design with signature qualities. 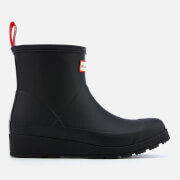 Upper/Sole: Natural Rubber. Lining: Textile.